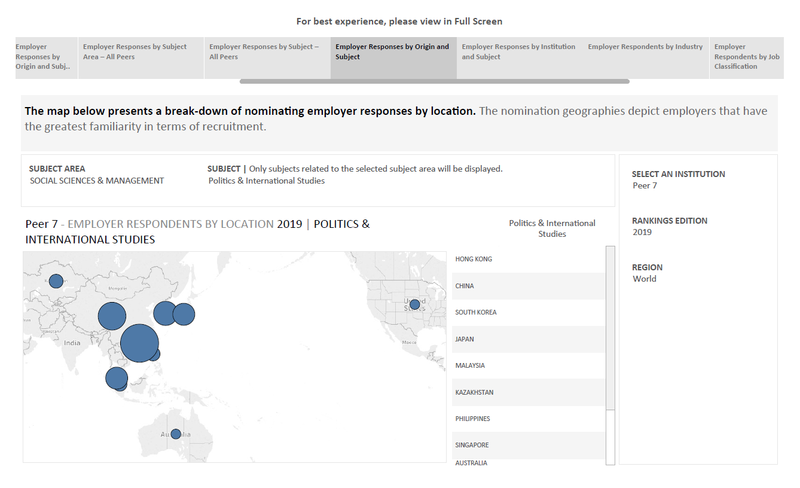 Survey - compiled by 40,000 employer respondents. 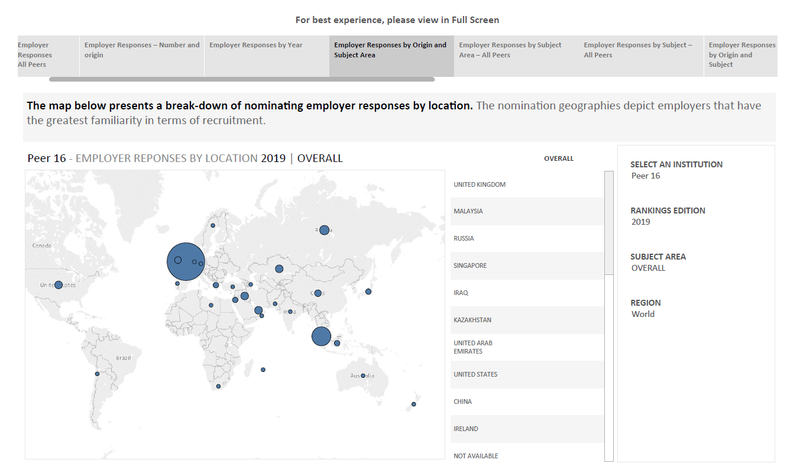 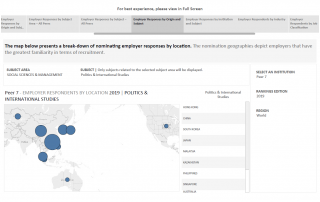 Access Exclusive QS Data – Access non-public data from the QS Employer Reputation Survey, containing responses from more than 40,000 employers in over 120 countries. 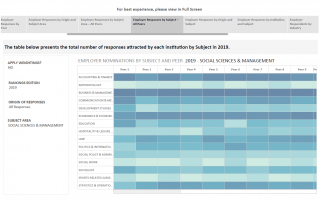 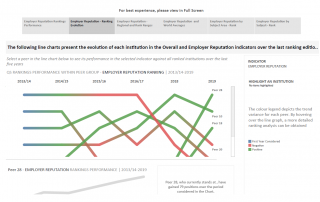 Feeds into the QS World University Rankings – The Employer Reputation indicator carries a weighting of 10% in the QS World University Rankings, meaning that you can leverage the data to better understand your ranking. 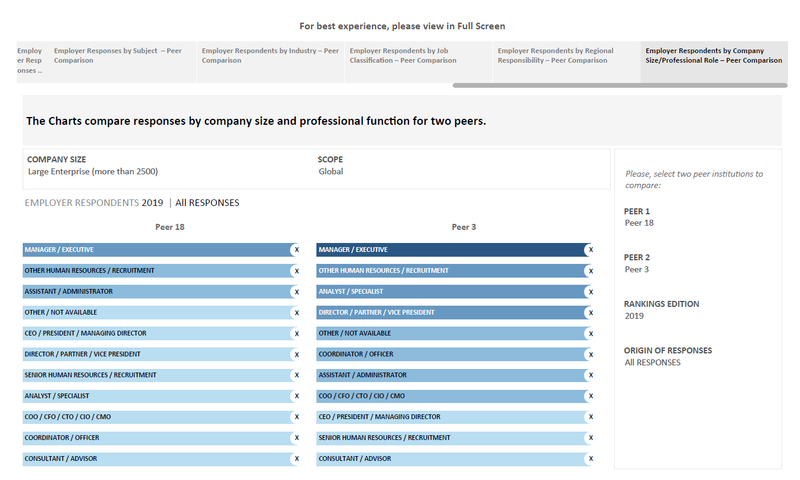 Use as Framework for Progress – Find out about your brand perception among employers and recruiters. 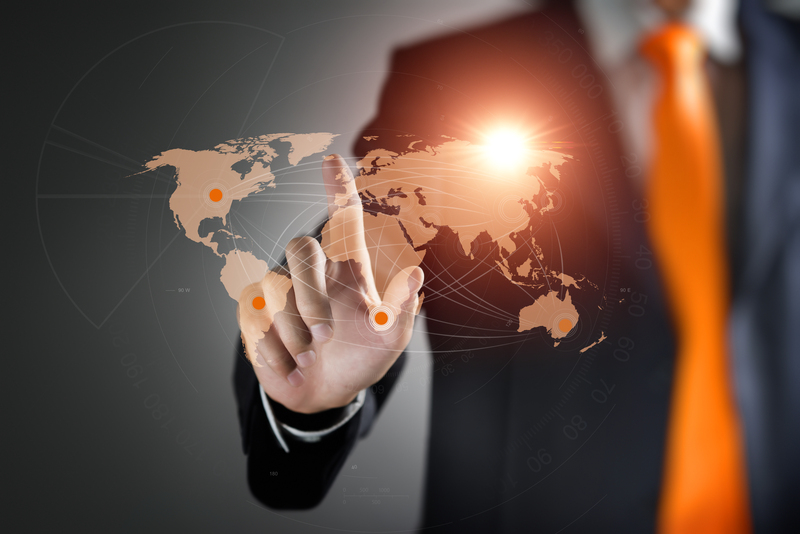 Analyze your performance and implement frameworks for improvement. 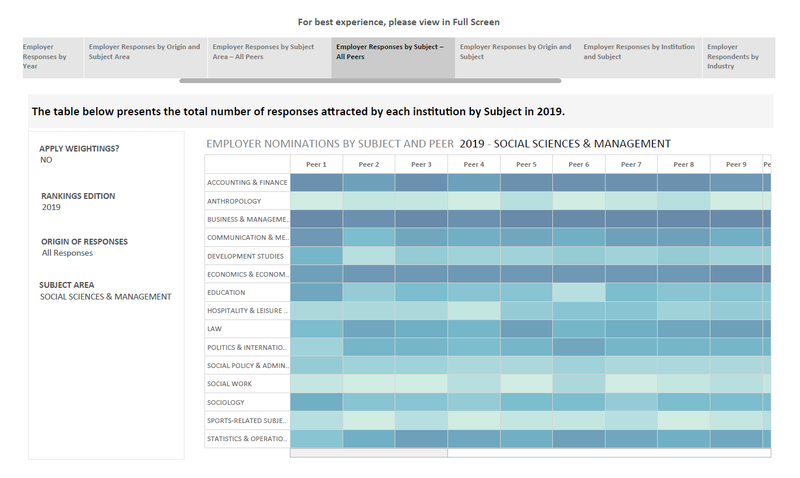 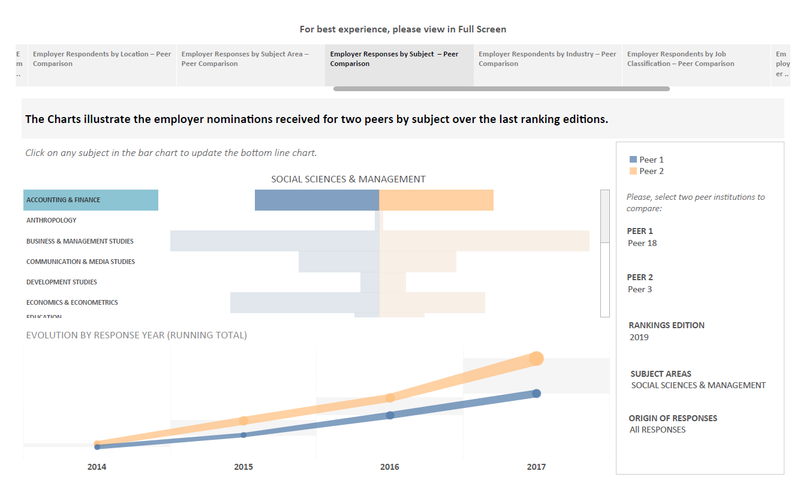 Compare Against Your Peers – Enables you to compare your Employability Reputation with that of at least 15 identified peers. 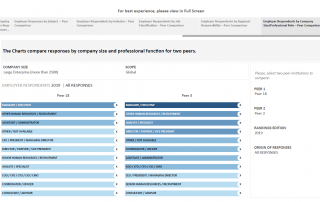 Highly-Flexible tool – You can filter the data and break the responses down by; country of origin, subject, industry or job title. 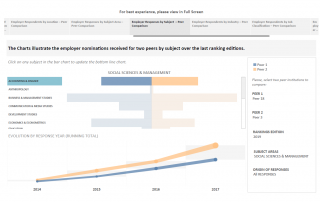 Expert Analysis – You can create your own visualizations and receive support from our analysts to help you to contextualize the information provided.